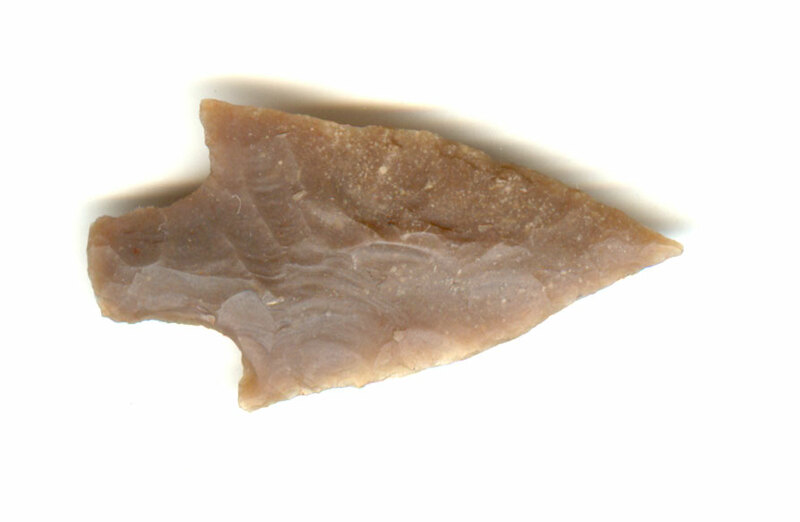 A Small Size, Thin, Nicely Flaked Langtry Point That Exhibits Surface Frosting Aging And Overall Stone Coloration Patination, Aging At The Stem Notches, Polished Blade Use Wear, Correct Blade Sharpening Use Reduction, Correct Style Base, Pointed Stem, Sharp Barbs And Overall Shape, Correct Style Blade Flaking, Correct Material And Manufacture For The Area Found. Found In July, 2017 On The Leona River, During A Screen Dig. Ex-Bill Arnold Collection. This Highly Collectible Example Displays Nice Flaking, A Sharp Tip, Pointed Strong Barbs And A Tapered Stem Typical For The Type. Includes A Ken Partain Certificate Of Authenticity.